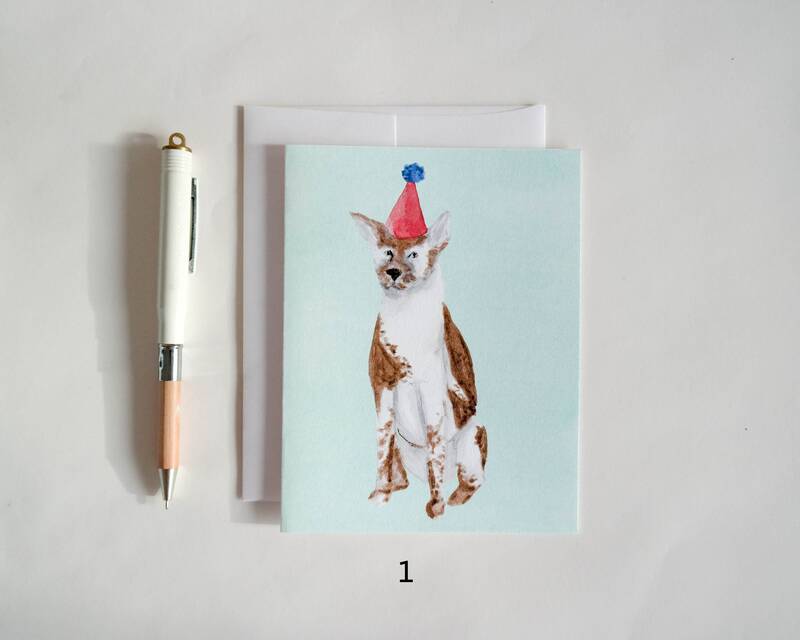 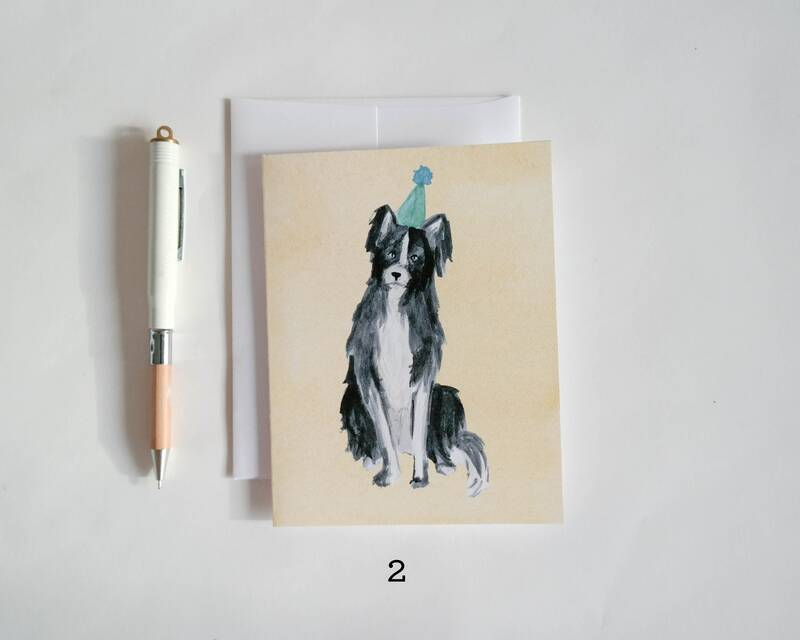 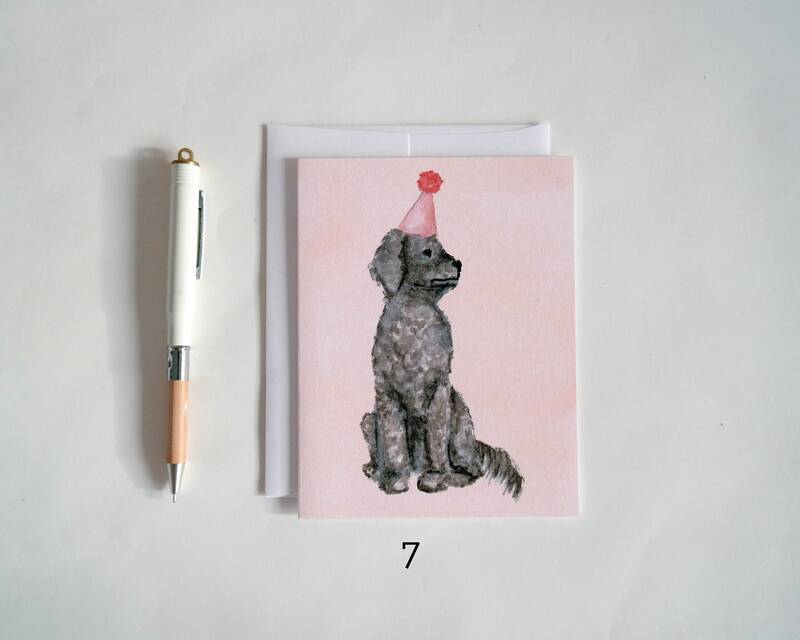 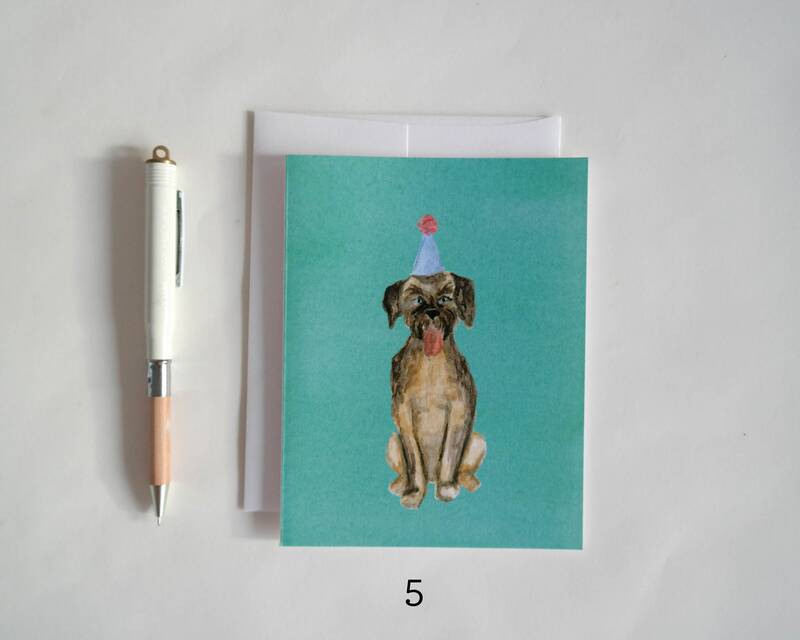 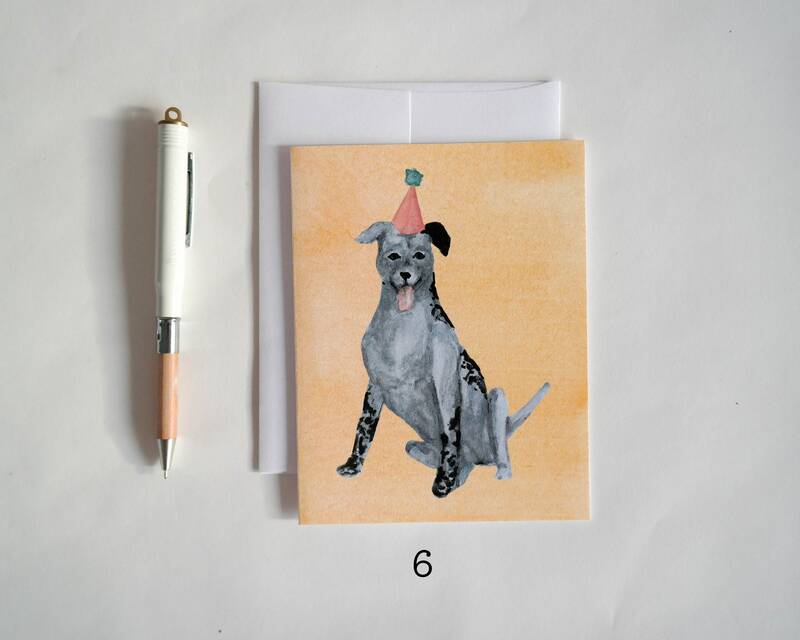 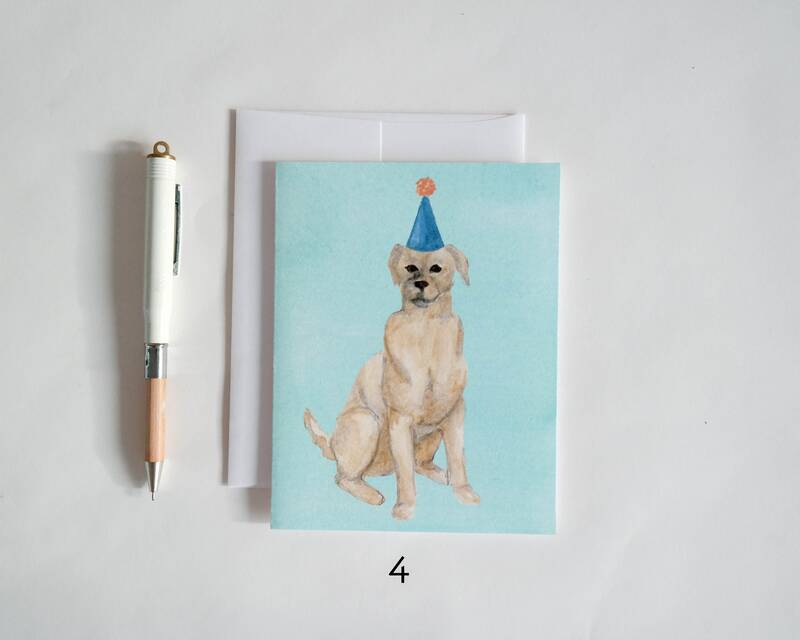 These dog greeting cards are ready to help you celebrate any occasion! 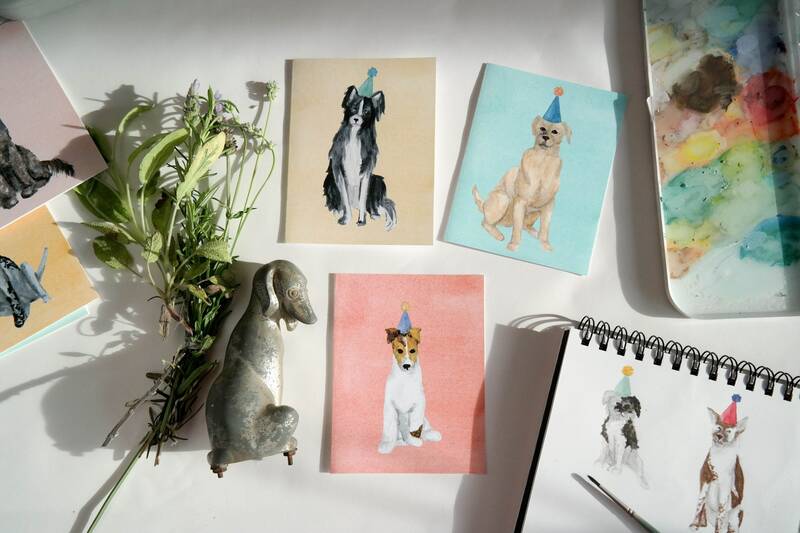 Each 4.25 x 5.5" watercolor card features a colorful illustration of party ready pups. 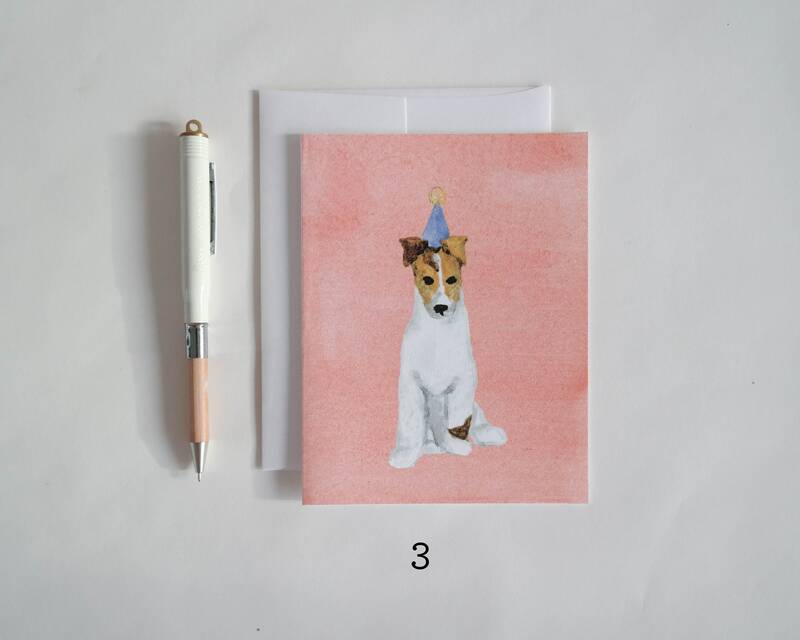 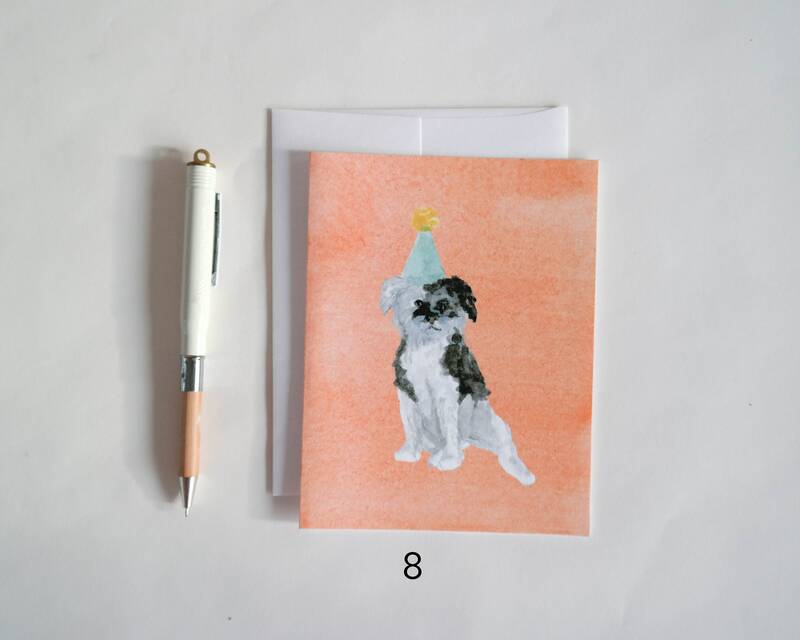 Choose a single dog greeting card to send well wishes to your favorite dog lover, or a dog stationery set of 9 blank cards as a gift for the dog lover in your life. 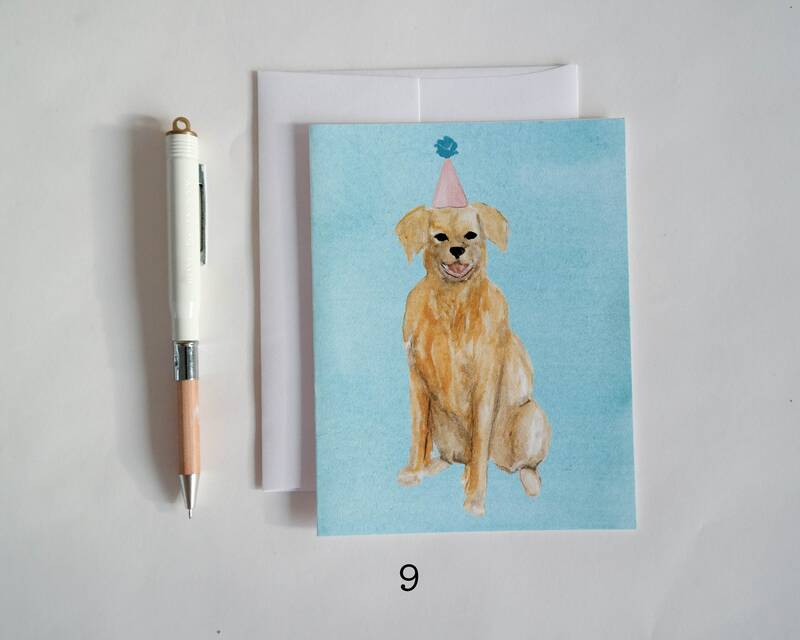 This watercolor card is blank inside and ready for the message of your choice.